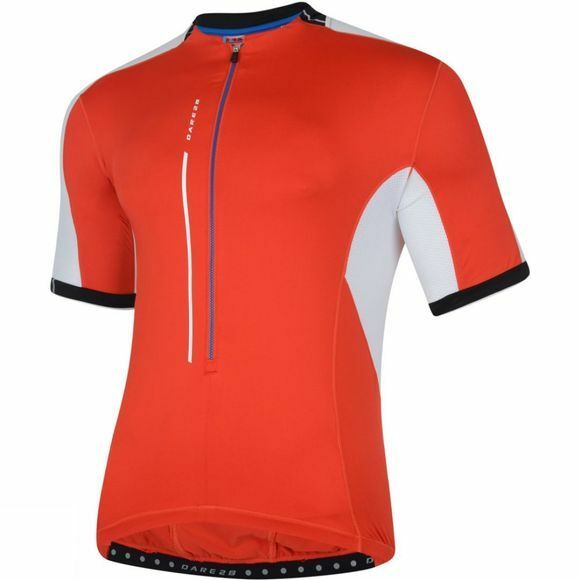 The Men's Astir Jersey from Dare 2 B is for high energy activities and is made to move moisture from your body and keep you comfortable. Mesh venting zones in key areas provides excellent breathability while the fabric is quick drying and anti-bacterial to reduce the chance of odour causing bacteria. Three rear pockets and a zipped security pocket are great for stashing gear securely on the go while a long length front zip is great for extra ventilation when you need it and the long rear hem with gripper tape stops your shirt from riding up allowing you to focus on the task at hand.